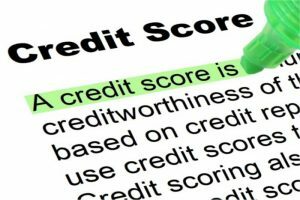 Maintaining a Good Credit Score: Are Soft Credit Inquiries Harmful in Any Way? You worked hard to get your credit score exactly where you want it to be. Now, you want to do everything you can to keep that number where it is. But what about inquiries? When financial institutions or others check out your credit score, won’t it go down? The answer is both yes and no, as we examine the difference between hard and soft credit inquiries. Hard credit inquiries are almost always performed by lenders and credit card companies. Any company that you have asked for a loan or a line of credit from is likely to make this inquiry, unless otherwise stated (“no credit check” is a common draw). When a hard credit check is performed, it will affect your score, bringing it down by a few points. Hard inquiries can also stay on your credit report for a few years. All told, it truly won’t have a massive impact on a good score, but if you’re still wary of hard checks, here are a few tips to soften the blow. First, you can be strict about credit cards you apply for. Don’t fish around for lines of credit you’re not sure you’re qualified for. If you absolutely must submit multiple applications, do so within a short period of time. The reporting bureau will be able to detect that you’re price shopping, and combine all of these inquiries. It might also be worth it to look further into how many days you have to do this. The span of time during which you can get inquiries combined often depends on how large of a loan or credit line you’re looking for. Then we have the soft credit check, and chances are, you don’t know who has performed them. However, you do know one person who’s performed a soft check – it’s you. When you peek at your own score on certain websites, this is a soft inquiry. So, are you self-sabotaging? No, because soft inquiries do not bring your score down. In fact, anyone who has done a background check on you, including your employers, has made a soft credit inquiry. Who else does soft checks? Insurance companies from whom you’ve requested a quote. Credit card companies that you already carry with, and those who want your business. Existing cardholders may have their credit soft checked to see if they qualify for special deals and programs, while new-to-you companies will tell you you’ve been “pre-qualified”. Pretty much anyone with a little data on you can perform that soft inquiry. Therefore, it’s easy to see why they don’t count against your score. If they did, anyone could just intentionally keep chipping away at another person’s score. How do you know if your next credit check will be hard or soft? Before getting a new insurance policy, job, or credit card, ask a representative directly what kind of inquiry is involved. In the meantime, check your credit report to see if any hard checks have been made that aren’t associated with a loan or card you didn’t apply for; there’s a chance you could have it removed.